She'll be ready to rule the roost in this Renaissance Queen costume! 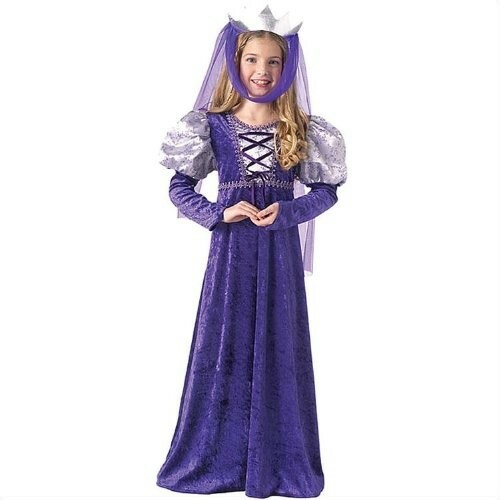 This beautiful purple velvet dress features lots of embellishments and includes a headpiece with a veil. Great for plays, Halloween, and day-to-day dress-up!